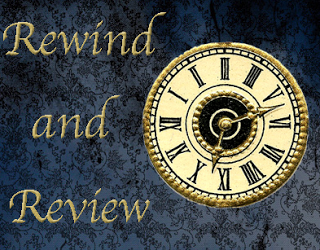 Since I skipped September, I'll be doing Rewind and Review a little differently, temporarily. Right now, I'll be catching up on October (sorry, September). Note: If you missed any September posts, they're on the sidebar as well as any reviews in my Review Archive above. I'm celebrating my ONE YEAR blogoversary! Meaning, there's a giveaway and a hoorah fest going on, which you can join by clicking the link in this post or on the sidebar. Really, why miss out? Like I already mentioned above, I received a hardcover copy of Gallagher Girls #6, but I already have my own copy of it. Very appreciative of Disney-Hyperion...but now mulling over multiple options on what to do. Super nice people again on Twitter. You all make my day. The video below can show another event in my life where I...well, you'll just have to watch until the end. Have a great week and happy reading, Sunny! Kinda, for my nose at least! And congratulations again on getting accepted! That is something worth celebrating, especially since it was one of your top choices. It really can be, I admit it. Hey, that's what AFV is for. YOU HAVEN'T?! MEGAN READ IT! CONGRATS on your university acceptance!! How exciting! Thank you! I'm excited! JEN YOU DO.